Lawmakers on Capitol Hill - including key allies of President Donald Trump - are reportedly cautioning him against declaring a national emergency to build his desired border wall and could move to block him if he does so. “I don’t take anything off the table,” Trump said in an interview on CBS’ "Face the Nation" that aired on Sunday. 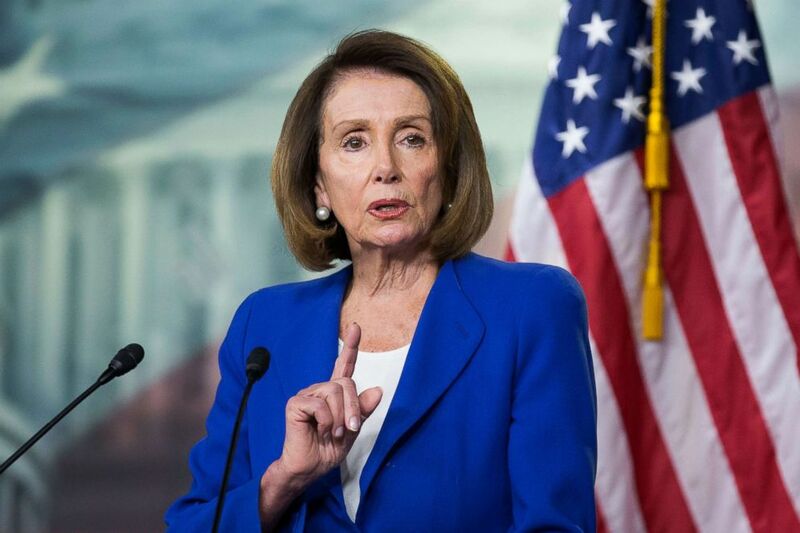 House Speaker Nancy Pelosi is currently mulling her options. The House could assuredly pass the disapproval resolution because the lower chamber enjoys Democratic control. The resolution would move next to the Senate. If every Democrat in the Senate votes in favor of the resolution, only a handful of Republicans would need to sign on for the resolution to be approved. The optics of such a vote would weigh heavily on Senate Republicans. 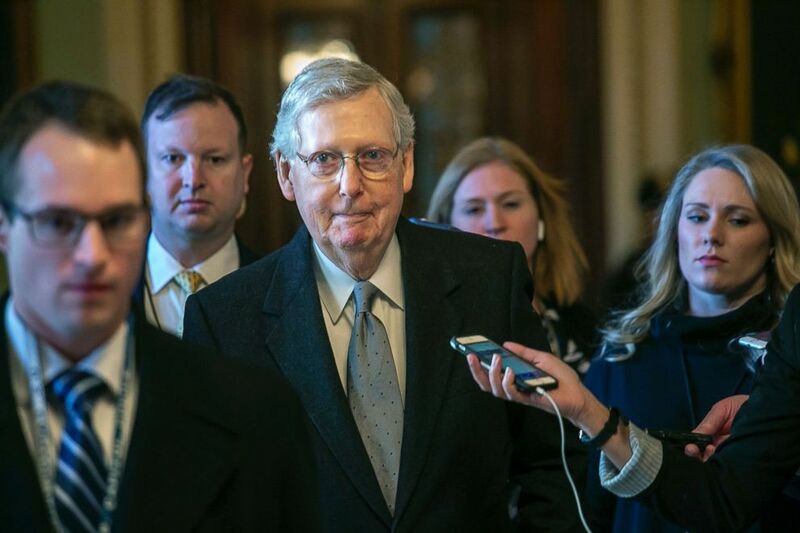 “I'm for whatever works, which means avoiding a shutdown and avoiding the president feeling he should declare a national emergency,” Senate Majority Leader Mitch McConnell told reporters during a press conference last Tuesday. On that same day, McConnell in a face-to-face meeting reportedly warned Trump about the consequences of declaring a national emergency in a private meeting at the White House, according to the Washington Post. The consequences could include Congress passing the resolution disapproving the emergency declaration which would force Trump to consider issuing his first veto ever. "We're in a very strong legal standing – we are doing it regardless. We haven't declared the national emergency yet and yet we're building a lot of wall," Trump told reporters last week. Trump's closest ally on Capitol Hill, GOP Sen. Lindsey Graham, has the president's back on the issue and is urging his fellow Republicans to unite behind the president's efforts. "To every Republican, if you don’t stand behind this president, we’re not going to stand behind you, when it comes to the wall," Graham said in a speech in Greenville, South Carolina on Monday. "This is the defining moment of his presidency. It’s not just about a wall, it’s about him being treated different than every other president." Graham added that he would "stand with" Trump if he declares a national emergency to construct the border wall and urged his Republican colleagues to "get behind the president" if he goes down that path. "To any Republican who denies the president the ability to act as commander-in-chief, you're going to create a real problem within the party," Graham said. But some GOP senators warn that could set a new precedent for future Democratic presidents.